Australia’s most successful family entertainment group, The Wiggles, are coming to the UK and Ireland for the first time in 5 years! Emma, Lachy, Simon and Anthony are so excited to be touring England, Ireland, Scotland and Wales this July and August. They will be bringing some familiar wiggly friends with them too, including Dorothy the Dinosaur, Captain Feathersword, Wags the Dog and Henry the Octopus! Emma will be delighting fans with her Irish and ballet dancing and there’ll be Highland dancing too with Anthony as he plays his bagpipes. Join Simon for the fun of “Simon Says” and if Lachy falls asleep, don’t forget to call out “Wake up Lachy!”. 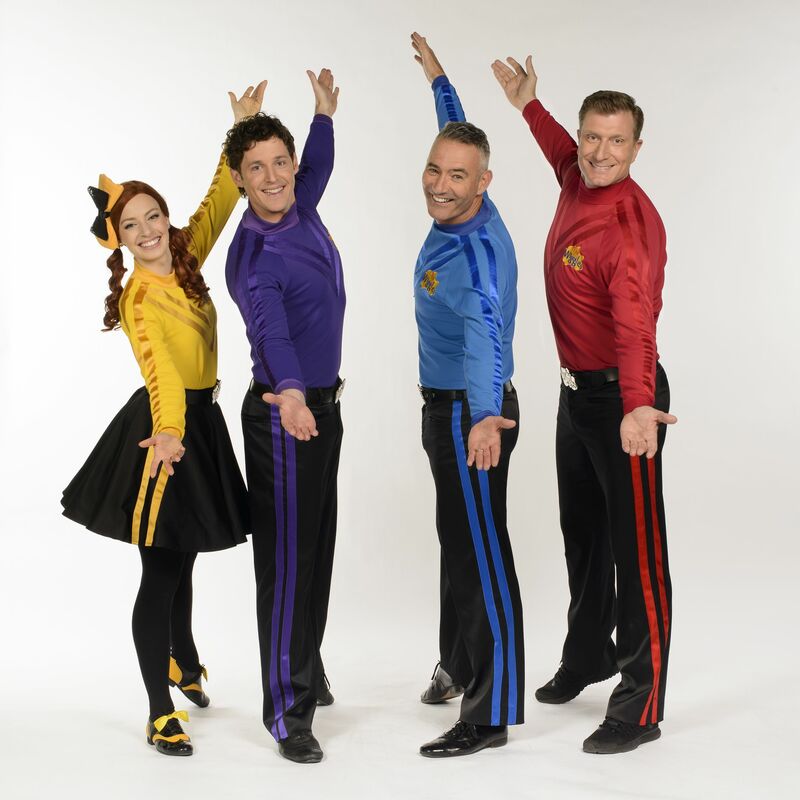 The Wiggles have been entertaining children around the world for over 26 years and The Wiggles Big Show will feature some of their best loved songs including Hot Potato, Fruit Salad, Do the Propeller and Rock-A-Bye Your Bear and Five Cheeky Monkeys. With combined sales of 30 million DVDs/CDs and 8 million books, The Wiggles never to enthrall their audiences. Their most recent CD release, The Wiggles Nursery Rhymes CD, entered the Australian Albums Chart at #15, sitting above Ed Sheeran! The Wiggles Nursery Rhymes YouTube special has so far amassed over 6 million views and is growing daily. Keep up to date with the latest Wiggly news!